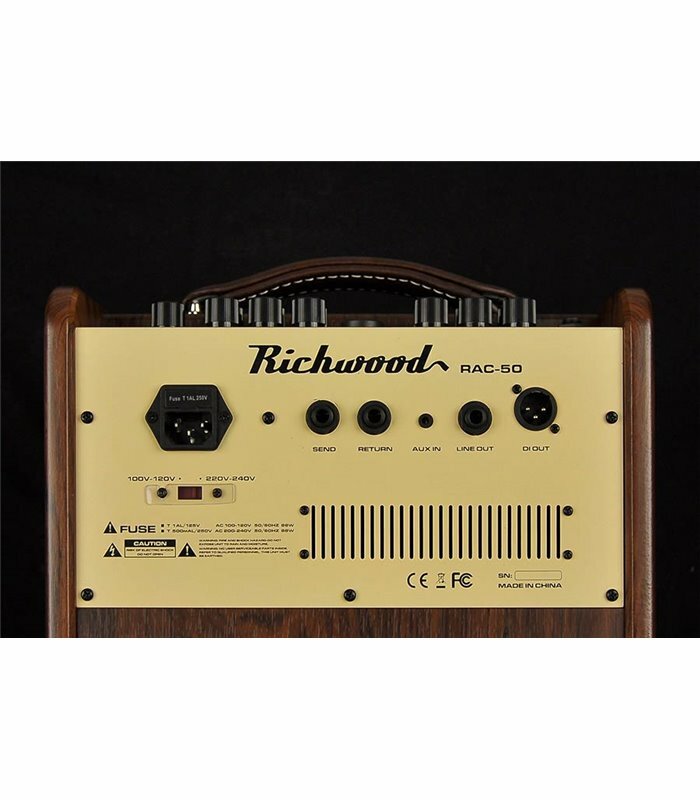 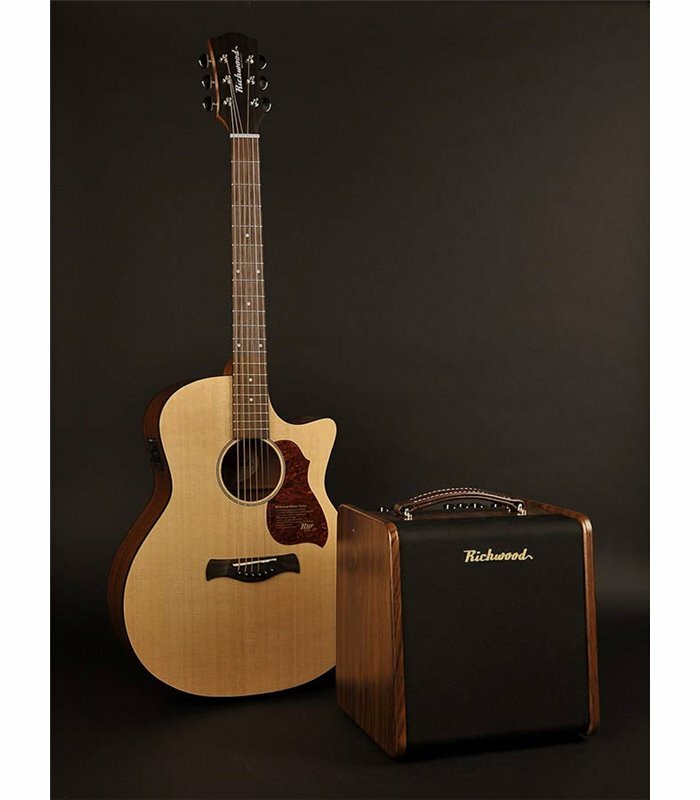 The Richwood RAC-50 is an allround 50 watt amplifier for acoustic instruments. 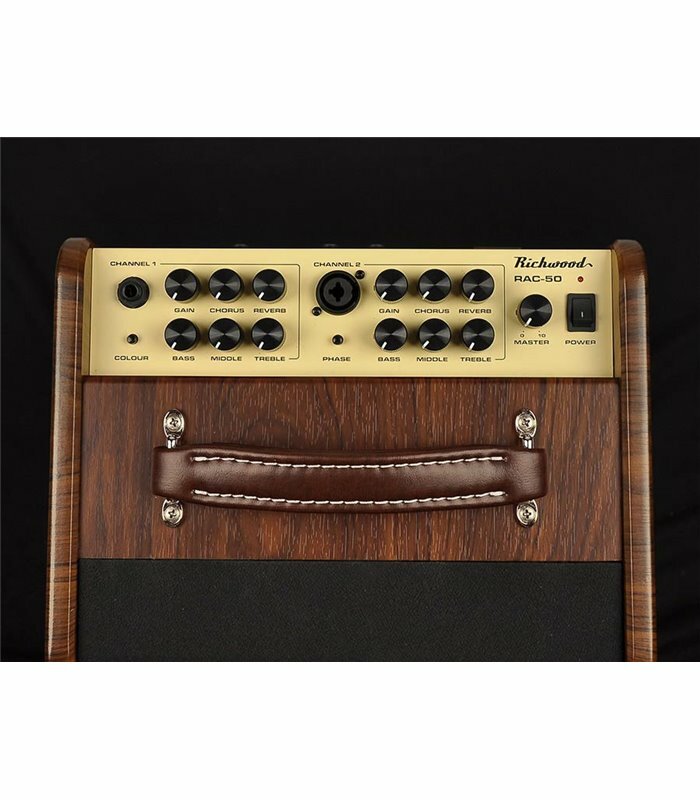 The two virtually identical channels feature three-way tone controls, chorus and reverb effects. 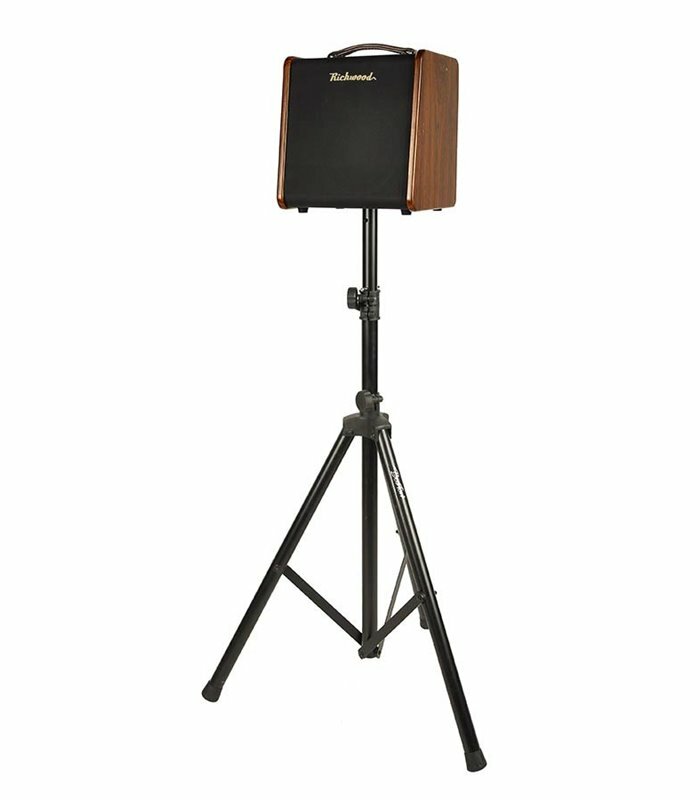 Channel 1 has a jack input and channel 2 an XLR-jack combi input. 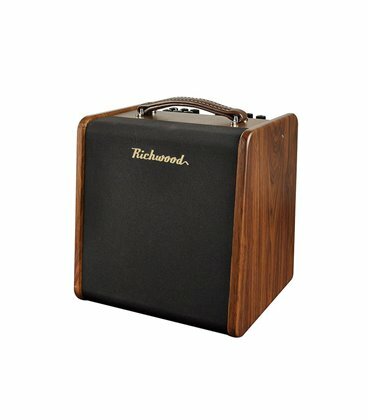 This allows the amplifier to be used for both pickup systems and microphones. 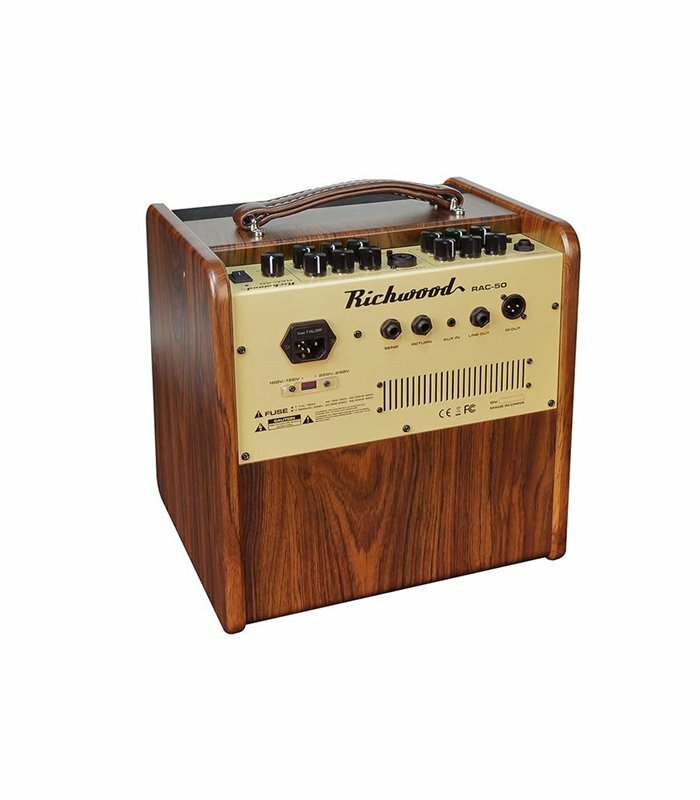 The RAC-50 has an effect loop, aux in, line out and DI out. 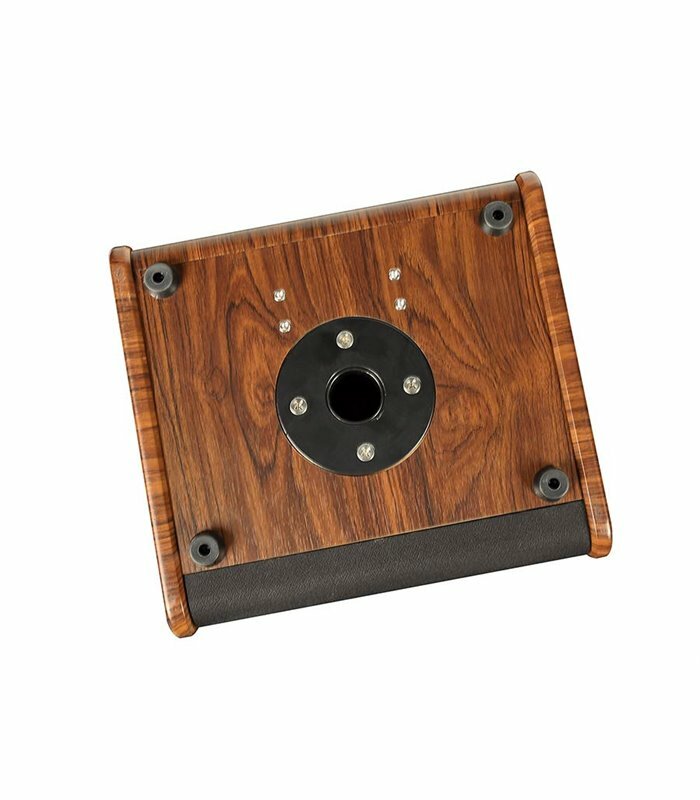 The bottom mounted speaker pole cup enables easy speaker stand placement, making the RAC-50 a very versatile amplifier.